Multimedia artist Christi Friesen is most notably recognized for her innovative approach to polymer clay designs. Her cover piece, Peacock Pizzazz, began, like most of her complex necklaces, with sketches to bring to life a ''half-formed idea.'' Although Christi had experimented with peacock designs in the past, her idea for this necklace was to create a masterpiece full of dramatic color and design. 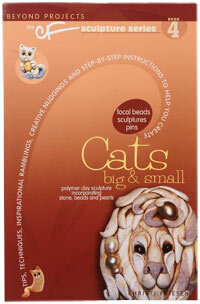 Christi has written a number of books on polymer clay designs and is a regular contributor to beading magazines. She specializes in combining glass beads, pearls, found objects and gemstones with her sculpted polymer clay pieces for one-of-a-kind art jewelry--with a single goal--to amuse herself every step of the way. Creatively combining her sense of humor with her love for sculpting, Christi's designs express her lively, one-of-a-kind personality. Christi Friesen YouTube videos for Fire Mountain Gems and Beads include titles such as: Creating a Feathered Galumphus Bird, Wiggly Scribbly with Polymer Clay and Creating a Bohemian Steampunk Pendant. It was at that same show that Christi met Fire Mountain Gems and Beads' Advertising Designer, Arbel, and was asked to design a piece for a Fire Mountain Gems and Beads' back-cover advertisement. View more of her incredible designs in the Gallery of Designs and on her website: www.cforiginals.net. 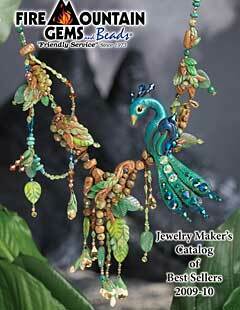 Browse Christi's product line available at Fire Mountain Gems and Beads. 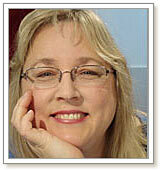 View all of Christi's resources here.